I sure had a nice looooong break during this summer. Ben had been eager to blog because I think he wants to show off his pictures! He is bored now and is soooo eager to pass back the baton to me. I did not cook much during the summer due to the hot weather. We had simple Chinese meal with stir fries at home and eat out on weekends. 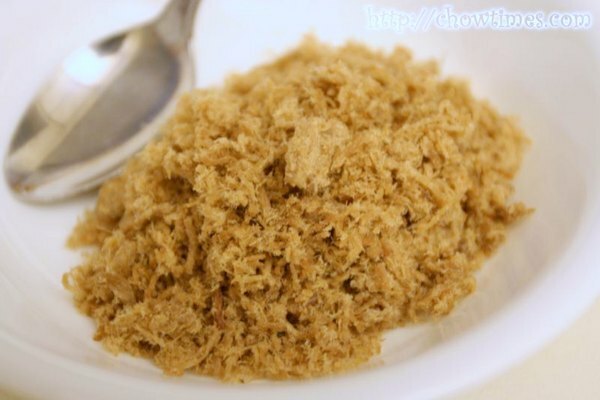 However, this is something I made during the summer, home-made pork floss. I’m sure some of you would say why go to all the trouble making it when it’s easily available in Chinese groceries which are abundant in Richmond. Well, for one, I just want to try to make it once and at least I know that its fresh. We had blogged about the store bought version before here. Back then we remember that blog entry did generate a lot of comments about the name “floss”. Slice the meat into medium thickness. Simmer the meat water until the pork is soft. This takes about one hour. Stir in the seasoning and cook again over medium heat until the stock is almost dry. 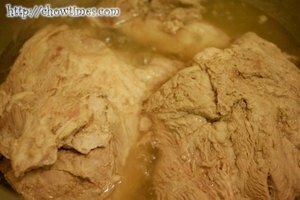 Remove the meat and cut the meat into fairly big pieces. 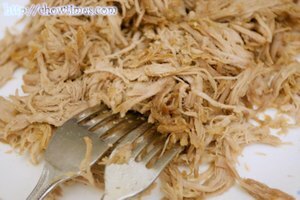 Shred the meat into fine shreds with a fork. Put the shredded meat in a wok together with the remaining stock and fry till almost dry. 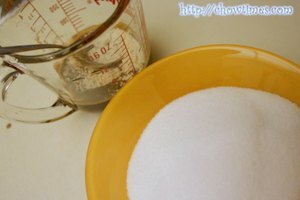 Lower the heat and add sugar while the meat is still moist. Keep on frying until the meat floss is dry and crispy. The whole process of frying takes at least one hour or more. 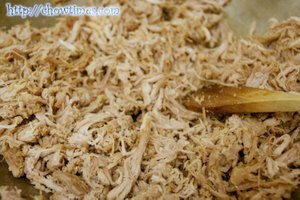 It takes some time but it is worth the effort.You’ll appreciate the store bought pork floss more after you’ve gone through the tedious process of making it. 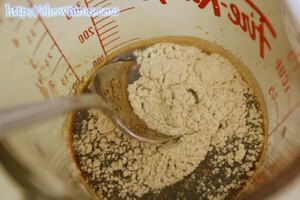 The recipe needs to indicate that the sugar is not included in the soy seasonings that get added after the meat is tender but still wet. I added it to the seasonings and ended up with Vietnamese style caramelized pork (thit kho) when it all cooked down! Not a bad result to end up with, but definitely not pork floss! Trying it again tonight but leaving the sugar out of the simmering seasoning and adding it at the end after all the liquid has cooked away. A food dehydrator would make this process easier. I’ve made something similar but with chicken. After the chicken is cooked well and shreds into flakes with a fork, I put the shreds in a dehydrator overnight. The dehydrator is great, you basically set it and go to bed. To me, this ‘traditional’ method of frying over a stove for an hour doesn’t seem like a good way to do it. I personally prefer the traditional frying method. Good things that my tongue likes happen in hot oil. yesssssssssss i found this recipe…. uhmmmmmmmm…. Hi Ben and Susan. 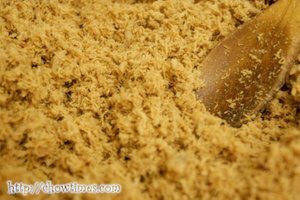 Do you know how to make tuna floss? hello ben, greetings from Indonesia, nice article, do you have any idea how to make them crispier, like the one sold on supermarket? Hi bw, I think if you cook it longer or after you achieve the floss texture, place them in a oven on low heat to further extract the moisture and crisp up. I find it an excellent way to recycle the very tough meat from broth. 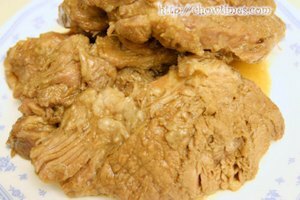 Usually such meat is too tough to eat as such, but too good to throw away. Turning it into floss saves the meat for better use. does anyone know how to make the vegetarian version? Hi, can someone advise on the nutritional facts on pork floss? I mean, is it fattening and unhealthy? I’m pretty lazy when it comes to making meat floss too. My mom used to use a lot of pork floss for various Taiwanese fishes. I’ve switched to fish floss under orders from my doctor. Stupid cholesterol. I’ll try to make these for pork floss buns!